ROG Strix fills the space below the Maximus series with more affordable options that retain the look and feel people have come to expect from the Republic of Gamers. 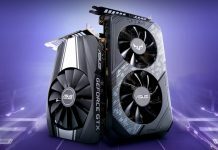 These models keep must-have features for gaming and overclocking but steer clear of more luxurious extras that add significant cost. 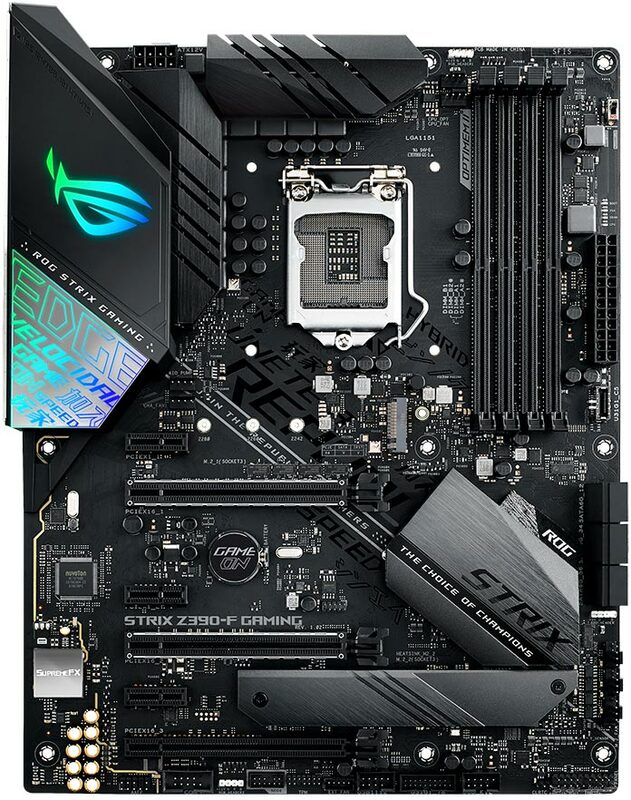 In the Z390 series, the Mini-ITX Strix Z390-I Gaming is joined by three full-sized ATX boards: the Strix Z390-E, Z390-F, and Z390-H Gaming. Mini-ITX systems don’t need to give up power to fit into small form factors. 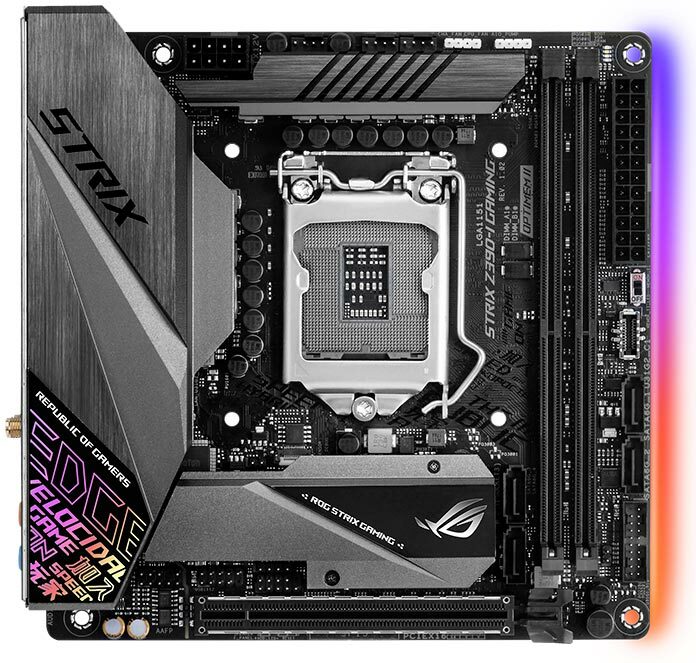 The Strix Z390-I Gaming is designed to push your CPU and memory well beyond stock speeds within the confines of a tiny 6.7” x 6.7” footprint. Limited real estate forces a few unavoidable concessions, but we can compensate or even exploit them to our advantage. Having only two DIMM slots makes the traces more direct, which enables faster memory speeds than four-slot boards that are optimized to run fully loaded. With the right modules, you can hit up to DDR4-4600 speeds. Fewer slots would normally limit memory capacity as well, but support for Double Capacity DIMMs makes 64GB of RAM an option for Mini-ITX builds. Smaller boards leave less room for cooling, so we combined the I/O cover with one of the VRM heatsinks to increase the surface area for thermal dissipation. The metal cover adds a more premium feel in addition to improving cooling. It isn’t the only multipurpose cooling component, either. The chipset heatsink is a double-decker design that also cools SSDs installed in the primary M.2 slot. A second M.2 slot is tucked underneath the board, allowing you to run dual drives without cluttering your chassis with SATA cables. 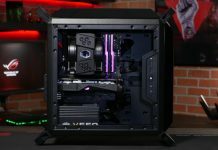 With fewer expansion options, the Strix Z390-I Gaming incorporates more of what you need right out of the box. 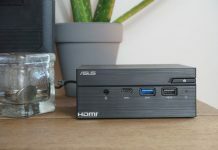 The HDMI 2.0 output supports 4K displays at 60Hz, so you can connect a big-screen TV without even installing a graphics card. Intel Gigabit WiFi eliminates the need to run Ethernet cable to your home theater, and Bluetooth 5.0 is great for connecting peripherals from across the room on the couch. Aura Sync lights up the right edge and powers standard and addressable RGB headers that can give off more than enough light for Mini-ITX rigs. A trio of headers for cooling lines up along the top of the board, where wiring can easily be tucked around the edge. 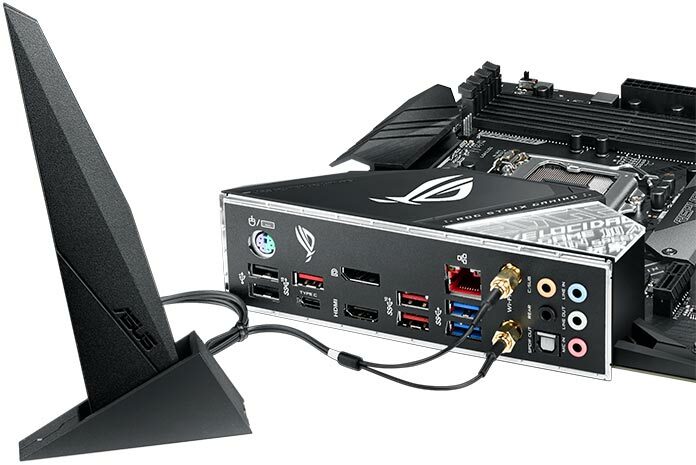 The ROG Strix Z390-I Gaming is versatile enough for a range of Mini-ITX builds, like compact home-theater PCs, portable rigs for LAN parties, and diminutive desktops that mix work and play. It’s available from the retailers listed above for $209.99 USD and $272.99 CAD. For full-sized systems, the Strix Z390-E and Strix Z390-F Gaming offer similar specs with a few key differences. Their shared features highlight the values behind ROG Strix, starting with predominantly black designs that can slip into stealth mode when you’ve had enough of RGB lighting. Distinctive cyber-text patterns slash across not only the board, but also a vinyl surface on the I/O shroud that reflects ambient light. 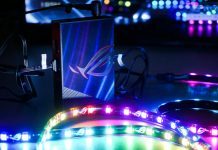 The boards generate illumination of their own with backlit ROG logos on the shroud. 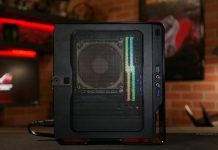 Between dual headers for conventional RGB strips and one for addressable hardware, they also have the ability to light up an entire machine with an Aura Sync glow inside and out. 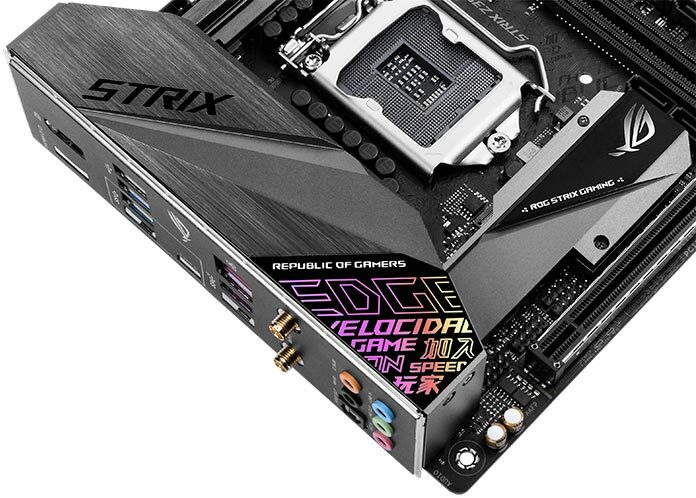 These are the only Strix boards with ROG’s new Node connector for external devices. The bidirectional link can send signals in both directions, which allows interesting possibilities beyond the basic hardware monitoring functions that dominate the first compatible components. 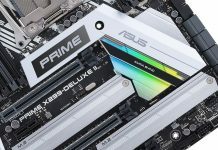 The Strix Z390-E and Z390-F both support memory speeds up to DDR4-4266 across four-DIMM configurations. They have dual M.2 slots, although only the Z390-E offers heatsinks for each one. That board also features an auxiliary bracket for mounting a fan that blows air directly over the VRM heatsinks. Both boards have the same number of cooling headers neatly grouped in key areas for cleaner cable routing. Connectivity may be the most important distinction between these two. While they feature Intel Gigabit Ethernet, only the Strix Z390-E Gaming offers comparable wireless throughput. In fact, it uses the same cutting-edge 802.11ac Wave 2 WiFi controller as the Maximus XI Extreme. 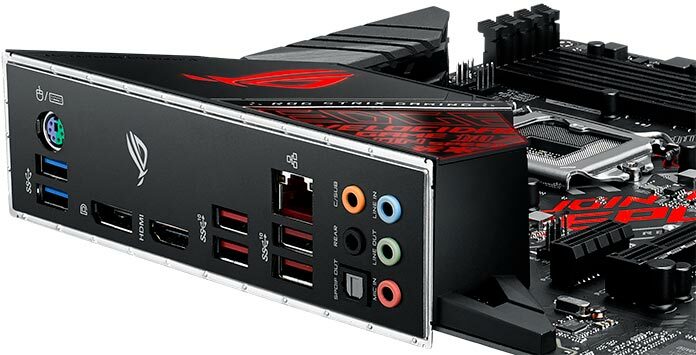 The Z390-E also adds a front-panel USB 3.1 Gen 2 connector, while the Z390-F is designed for chassis with Gen 1 ports up front. The Strix Z390-E Gaming adds perks like built-in WiFi to a balanced foundation for overclocking and gaming, easily justifying its $244.99 USD and $318.99 CAD asking prices. Ask your local ASUS ROG representative whether the Strix Z390-F is available in your region. Our most affordable ROG Strix model lowers the price while still honoring the brand. The Strix Z390-H Gaming reprises the classic black-and-red colorway of our past with an updated attitude that fits ROG’s present. Although we typically stick to monochrome palettes to avoid clashing with customized illumination, extensive RGB lighting is less common on inexpensive machines, so we add a splash of color on the motherboard to compensate. There’s also an Aura Sync header for RGB strips if you want to add system lighting to start or upgrade down the road. We’ve been granted a patent for the pre-mounted I/O shield that first appeared on ROG motherboards. A relatively simple feature on the surface, this enhancement makes installation much easier than conventional designs that rely on a separate shield, where you typically have to navigate sharp bits of metal and remember the shield in the first place. 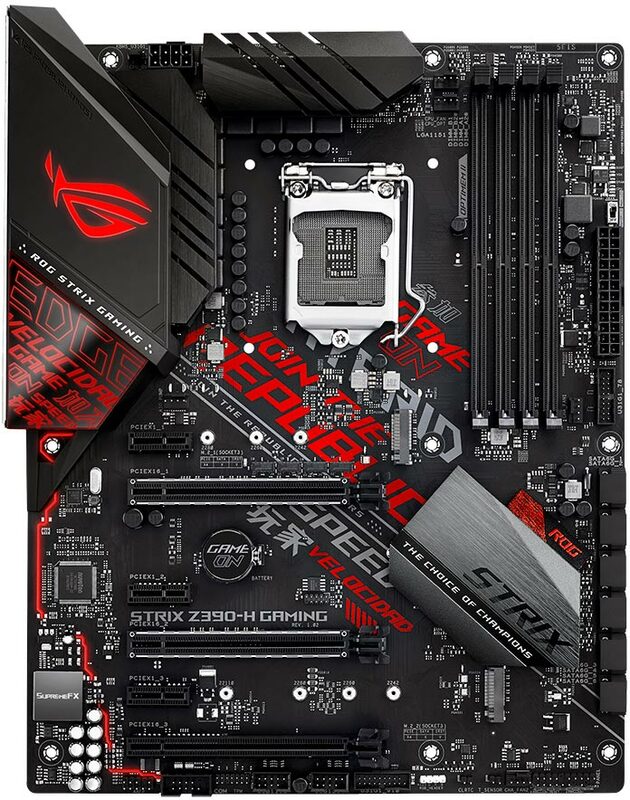 Pre-mounted I/O shields are now available on every single ROG motherboard down to the Strix Z390-H Gaming. A hero in letter only, the Z390-H inherits other features from its high-end counterparts, like optimized memory trace routing and automatic recovery from failed boots. But in some areas it scales back to better fit the class of system people actually build with entry-level motherboards. This is an unlikely home for a massively overclocked Core i9 CPU, for example, so the power circuitry isn’t as robust as on pricier models meant for top-of-the-line CPUs. Newer features like AI Overclocking, Node connectivity, and addressable RGB lighting are also absent from what is ultimately a baseline board. Even the ROG baseline nails the essentials, though. The integrated audio matches more expensive models with a shielded SupremeFX S1220A codec connected to dual amplifiers. A reliable Intel controller supplies the Gigabit Ethernet networking, and our updated ROG GameFirst V software is on-hand to route packets. The latest version of GameFirst includes a new mode that passes application-specific packets without deeper inspection, which can reduce latency for online gaming. It also supports ROG First, which compatible routers can use to prioritize traffic from our motherboards above everything else. Less certainly isn’t more on the ROG Strix Z390-H Gaming, but for basic builds it’s more than enough considering the price tag. The Strix Z390-H Gaming is available now at the retailers in the table above for only $189.99 USD and $246.99 CAD.